Are you into Action Role-playing Hack & Slash Game like Diablo and its game series. Hack & Slash is one of the addictive game categories. What can be better than a game packed with many actions, Role Playing, and Hack & Slash? We have found some games like Diablo which are interesting as much as Diablo 3. Diablo is the first game of the series which was released on December 31st, 1996 by Blizzard Entertainment. The game was launched for various platforms including Microsoft Windows, Mac OS, and PlayStation. It is an action Role Playing hack & slash game. Read the Story Here. If you want to play a game that is exactly the same as Diablo then you should go with Path of Exile. 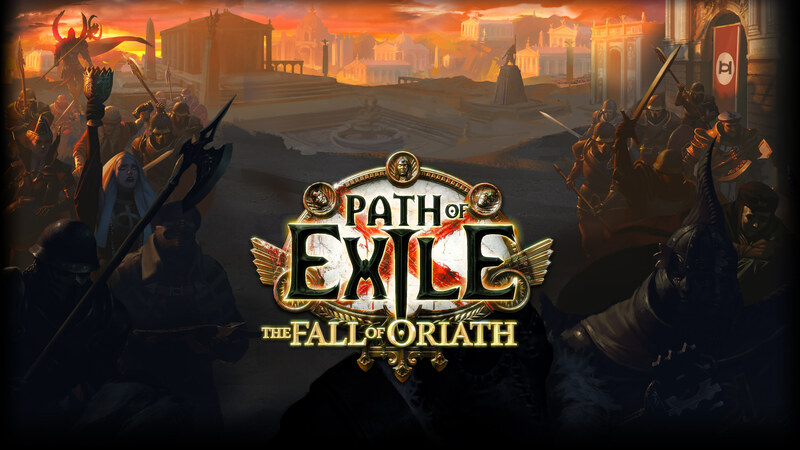 Path of Exile was released on October 2013 for Microsoft Windows by Grinding Gear Games. And After a long gap (4 years) it launched for Xbox One. Path of Exile is an Action Role-Playing game. It has both Single Player and Multiplayer game mode. The two most important strategy of this game is to Collect valuable items as much as you can and unleash the power in the war. A player can select a character from a different set of classes. Each class has different and devastating skills. In the game, the player has to battle with monsters and complete the quest. Try out Path of Exile and you will find it that it is like Diablo Game. 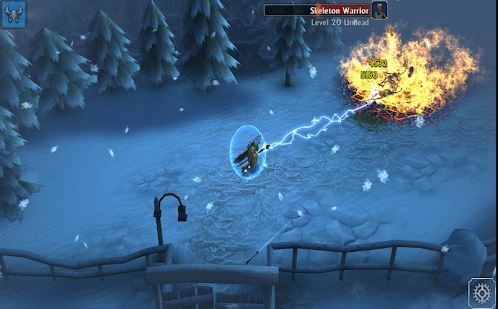 Torchlight 2 is the second game of the Torchlight game series. The first game was released in 2009, whereas the second was launched in 2012 by Runic games. It is an action role-playing game just like Diablo. The game takes place in the fantasy world. 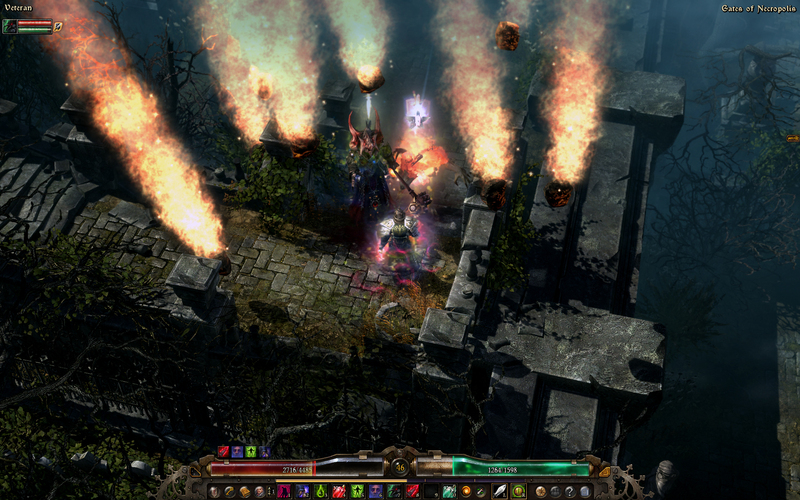 The gameplay is also similar to Diablo where the player controls the character and fight with a different type of monsters. 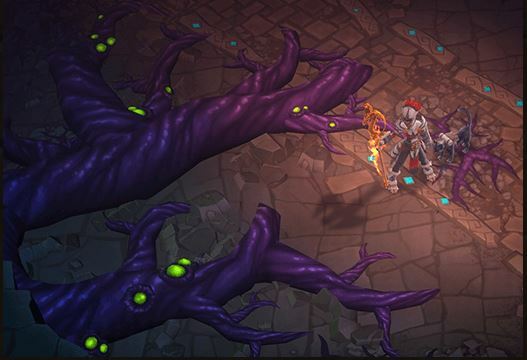 As compared to Torchlight, the sequel has more areas to play such as multiple hub towns, and longer campaign. Other than the expansion in the area some other features are also added to the game like weather effects, redesigned interface etc. This is one of the best games like Diablo 3. But if you are looking for games similar to Diablo for PlayStation or Xbox then this game is not for you. Titan quest is a multiplatform action Role playing hack & Slash game by THQ. The player can play the game as Single Player mode and Multiplayer mode. The game was released in 2006 for Microsoft Windows. Now it is available for Windows, Android, iOS, PlayStation 4, Xbox One, and Nintendo Switch. The story of the game is that the player has to defeat many monsters also called titans. These titans have escaped from their ancient prison. The game also has two more expansions in the game series. If you want to play games like Diablo 3 then try Titan Quest. If you like to play Diablo game and want to try some other game similar to Diablo, the try Grim Dawn. It is an action Role playing hack & slash game. The game was released on February 2006. The limitations of the game towards category are just Microsoft Windows and Xbox One. Grim Dawn game takes place in a dark world. The main story of the game is to prevent the human extinction. The extinction is due to the war between two powers, the Aetherials, and Chthonians. One uses the human bodies as resources and the other intends to destroy the human race. The game is very similar to Grim Dawn. Sacred 2 sequel of the Sacred game was released in 2008. It is an Action Role-playing game for multiple platforms. If you want to play games like Diablo 3 you can try both Sacred and Sacred 2. The game takes place in a fantasy world and 2000 years before the event of the sacred game. The story is all about to gain the T-Energy which is a volatile substance and the source of life and magic in Ancaria. At first, the T energy was in control under Seraphim and they gave some of the control to High Elves. From here the fight for T Energy begins. Try out sacred games similar to Diablo. If you are looking for games like Diablo 3 with amazing graphics then try Wolcen: Lords of Mayhem. The game is also a hack & slash game but also provide a different type of gameplay. 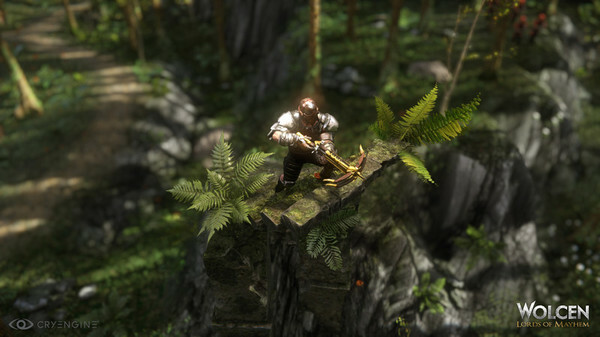 The game was released in 2016 by WOLCEN Studio. It doesn’t have any class restriction so you can go on with any character and level up. Along with action Role-playing, it also offers an adventure game where the player has to explore the world to reveal the hidden truth. If you own an Android device and want to play games similar to Diablo on it. Then check out the best hack & slash games below. 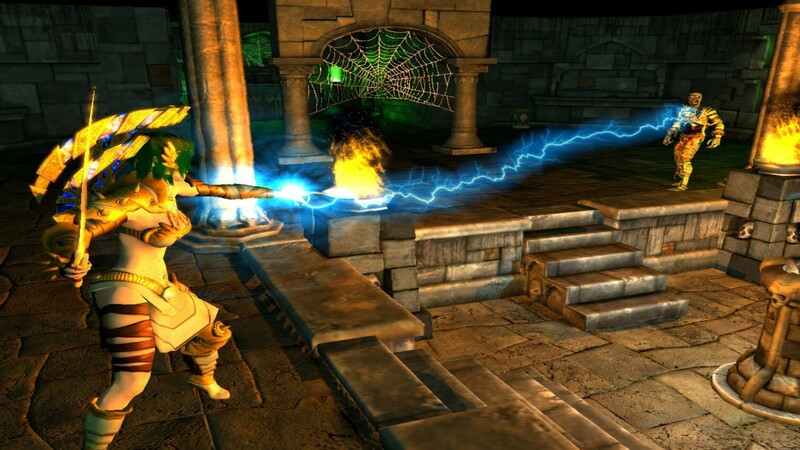 Eterinum is an action Role Playing hack & slash game for Android Platform by Making Fun Inc. The game has great graphics and gameplay is very similar to Diablo 3. If you want to play on an Android device then this is the best game for you. You can play the game online as well as offline. But to offline first, you need to download data. Playing a hack & slash game does not decrease the fun that we receive while playing on PC. In the game, you need to battle with zombies, skeletons, aliens, demons, dragons and other monsters. Try out the Eterium to experience gameplay like Diablo 3. Inotia is an Action Role-playing game by Come2uS. The game can be the best alternative for the Eterium game. The game follows the hack & slash mode just like Diablo game. If you like games in which battle in groups and create chaos. Then this can be the best game. The controls are set on the screen in an easy way. You can swap characters and control them in one click. Use devastating skills of the character to defeat enemies. The game contains a character from 6 classes from which you can choose one at starting. All the classes have at least 15 skills. 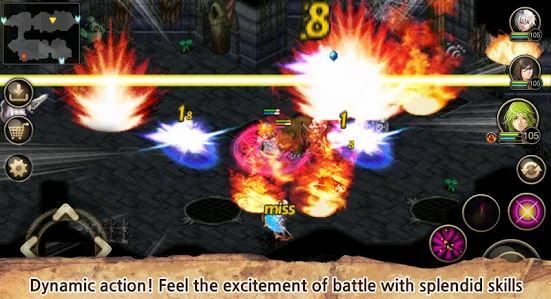 Dungeon Hunter is a famous Game series for Android Platform by a well-known publisher Gameloft. It is the most popular hack & slash game for Smartphone. The graphics are also stunning. Dungeon Hunter 5 follows the simple storyline in which player has to defeat bandits, monsters, and other terrors to overcome the darkness. The player will be given with a bounty hunter character where they will work for money. Take a contract and complete the missions and quests. If you like to play games with cartoon-like graphics then this can be one of the games like Diablo 3 for you. Arcane legends have successfully attracted millions of players from all over the world. 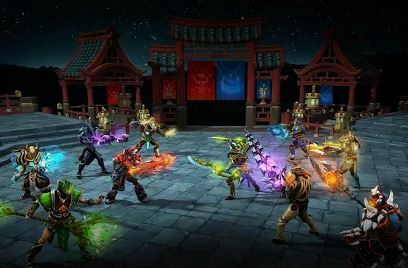 The gameplay is very similar to Diablo with some added quest. 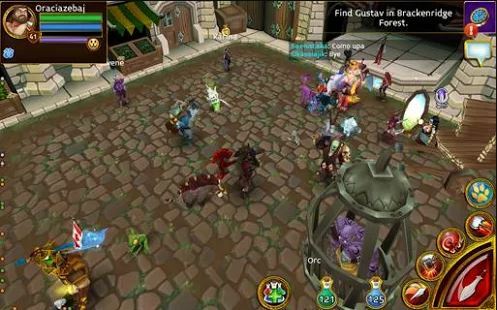 In the game, the player can also collect pets and battle with other pets. The player can also customize their character and level up the character. It is one of the best hack & slash games for Android devices. So this was the list of best Games like Diablo 3. I hope that you have got an interesting game to replace the Diablo. You can choose any of the game from the list according to your device. If you want to know more about any other game then you can ask through facebook or comment section.